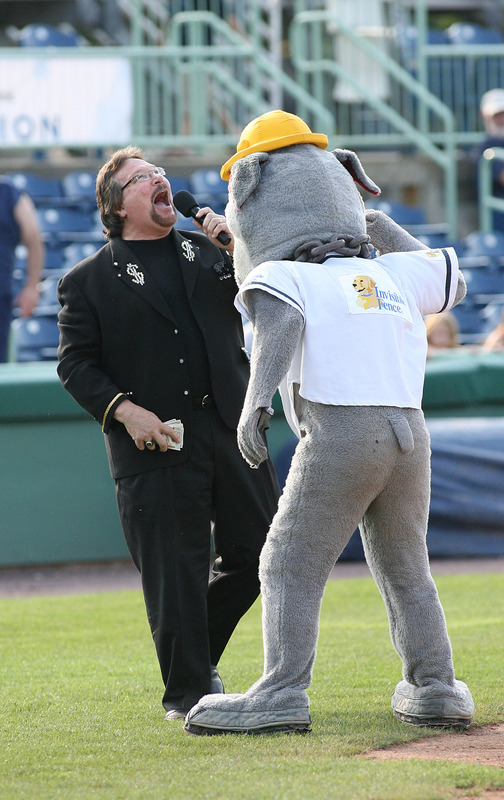 The chuckles of “Million Dollar Man” Ted DiBiase could be heard throughout Eastwood Field on Sunday. But it was the Scrappers who had the last laugh in a series against the State College Spikes. In three games, Mahoning Valley tallied 16 runs to take every game against the Spikes. 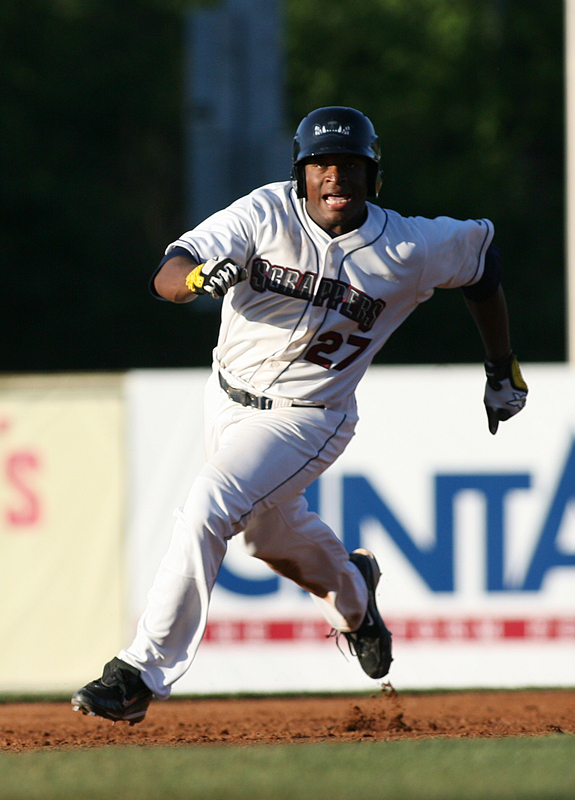 The offensive onslaught by the Scrappers was the most runs collected by the team in a three game stretch, this season. With DiBiase on hand, the Scrappers held Wrestling Night on June 26. Trivia, autographs from the “Million Dollar Man” and even a main event bout between Scrappy and Costanza the Rally Gorilla turned the stadium into an all-out wrestling ring. On the field, it was a one sided cage match with the Scrappers scoring six 1st inning runs. Doubles from Tony Wolters, Jake Lowery, Todd Hankins and KC Serna paced the way as the Scrappers batted around in the first frame. In his professional debut, Mason radeke earned the win goign five full innings, allowing justone run on three hits. 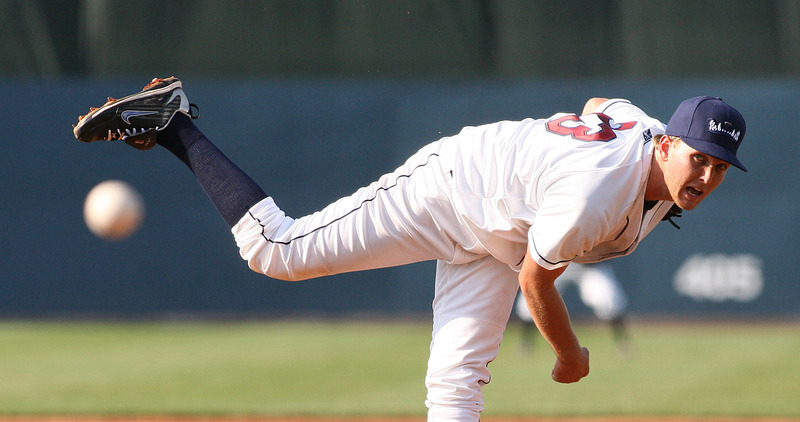 The Santa Barbara, CA native fanned four Spikes batters in his first Minor League go-around. Mahoning Valley found itself in an all too familiar scenario on Tuesday. With a chance to walk off with a win in the bottom of the 9th, the Scrappers did. It took 11 innings back on June 22, but pinned against the wall to win in stunning fashion, the home team has come through. In both situations, the game has ended on a walk. Both times, Jordan Smith has been the hero with a good eye drawing a walk to win it in the end. The Scrappers polished off the series sweep on Tuesday with a 2-for-4 performance by Bryson Myles. The Stephen F. Austin product led off the bottom of the first with a bunt single. Showcasing his speed, Myles stole second, and then third. He now has five stolen bases in 2011. Myles scored the first of six Scrappers runs there in the first frame. He collected his fourth RBI of the season scoring Todd Hankins with a triple in the bottom of the 2nd. Myles leads the team with a .333 batting average and .412 on-base percentage. Alex Lavisky and Wolters also had two hit days, Tuesday. It’s now the Spikes turn to be at home as the Scrappers travel to State College for another three game set Wednesday, Thursday and Friday. Be sure to include a trip to Eastwood Field in your 4th of July weekend plans. The Scrappers will be back in Mahoning Valley on the 2nd and the 3rd. With a Youth Jersey giveaway on Saturday and Patriotic Night celebrations on Sunday, the perfect way to honor America is with some Scrappers baseball.